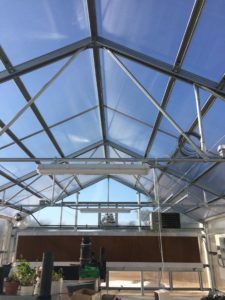 Providing a hands-on learning lab such as this greenhouse will deepen the knowledge learned, give students real-world skills and expose them to a variety of careers. The students will also learn commerce when the flowers and vegetables they grow are sold to community members. Both high school and elementary school students will use the new greenhouse, purchased with assistance from the Hansen Foundation.